Can you think of a word for each letter of responsibility? 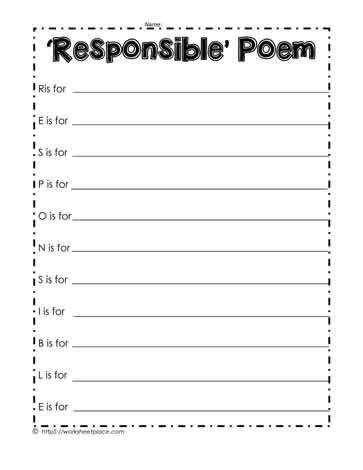 This social skills worksheet, or character building worksheet requires students to come up with an appropriate word for each letter in the word responsibility. R could be respect, reasonable, reliability, E could be empathy, esteem, S could be sincerity and so on.